Current Research: I am a paleoclimatologist who uses the chemical and physical properties of ice cores collected from polar ice sheets and mountain ice fields to reconstruct Earth's climate history. 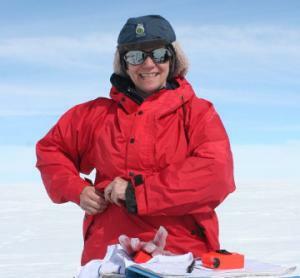 To date, I have led nine expeditions to Antarctica and six to Greenland to retrieve ice cores. In 2010 I was the principal investigator and field team leader for the ice core drilling project on the Bruce Plateau in the Antarctic Peninsula, which was part of LARISSA (LARsen Ice Shelf System, Antarctica), an International Polar Year initiative funded by the National Science Foundation. My areas of interest include abrupt climate changes, glaciology, glacier retreat, Holocene climate variability, and climate change in the Polar Regions. Research Group Web page. Geography 3901H-Global Climate and Environmental Change: Individuals Matter.